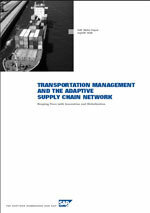 2006 was "the year of transportation management systems," as a variety of external pressures and a growing recognition of the strategic importance of transportation led many companies to consider and implement new TMS solutions. On this page, we provide a variety of resources to help you inderstand and select the TMS technology that is right for you. Didn't receive a copy in the email? 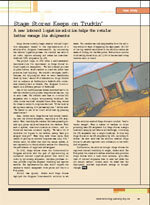 Download the SCDigest Letter on TMS right now! 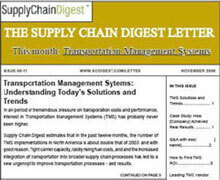 Here you will find a variety of free resources available to subscribers of Supply Chain Digest or The Supply Chain Digest Letter. 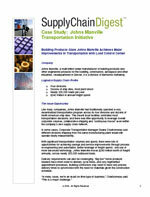 Global Logistics: Will You Become Your Own “4PL"? When Changing Businesses Processes, How Much Time Should You Expend Documenting the Current Ones? Or, you can search our entire site by topic. Just pick transportation management systems from the drop down menu. Our how to select a TMS Videocast, only from SCDigest and Supply Chain Television Channel, will save weeks on time and help you make the right decision. "This was very valuable session for us." Cost: $299.00 - worth every penny and more! Download this valuable spreadsheet now! See where one high tech company expected to find the saving from a new TMS more $14 milltion in net savings over 5 years. What's Driving Interest in On-Demand TMS? 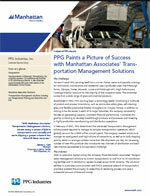 There clearly is an increased interest in on-demand/hosted/ASP'ed Transportation Management System (TMS). Why is this happening? Some of the on-demand offerings are to an extent, simpler, which appeals to some users. For example, some on-demand TMS products may lack mult-mode, mult-leg international functionality. But, there are a many companies that don't need that functionality, either because they aren't shipping like that or because when they do they use forwarders. 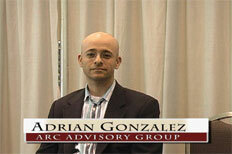 Watch our video discussion with ARCs's Adrian Gonzalez and Manhattan's Matt Harding. Considering adding Warehouse Management to your SAP environment? Many companies are considering adding best-of-breed Warehouse Management solutions to their SAP ERP environment, but are uncertain as to integration options and issues. This information white paper from Softeon reviews WMS deployment options within an SAP environment, describes the technical requirements in a straight-forward, jargon-free fashion, and overviews the importance of SAP's certification program for integration external WMS solutions with ERP and enw NetWeaver platform.